A large verdict in California against Johnson & Johnson (J&J) is bad news for the company. There have already been several large verdicts against J&J in cases alleging their baby powder caused the plaintiff’s cancer, but so far all have come from the same Missouri state court. J&J determined that the Missouri court was just too plaintiff-friendly, so they focused on preventing out of state plaintiffs from filing there in a practice called “forum shopping”. 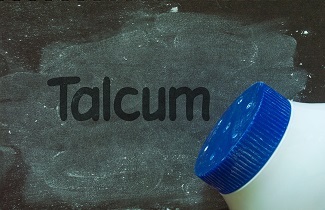 What Is Forum Shopping And How Can It Impact Talcum Powder Cancer Cases? Forum shopping is when a party tries to get their case heard in a jurisdiction they think will be on their side, usually due to past rulings on similar subjects. Last June, the Supreme Court took steps against this by ruling a state court cannot hear injury claims against companies not based in the state when the injury did not occur there. Naturally, J&J thought they could now put a stop to plaintiffs filing their claims in the plaintiff friendly court, but the California ruling shows they have more to worry about. The fact that another state court gave an award greater than the sum of all previous awards shows that there is enough evidence to make this case elsewhere. From this point on, one can expect more states to accept more cases concerning J&J baby powder. Have You Been Diagnosed With Cancer Possibly Related To Talcum Powder? If you or a loved one has been diagnosed with ovarian cancer and have used talcum powder over a long amount of time you need to speak with an experienced attorney as soon as possible. Please contact us online or call us directly at 855.522.5291 for your free consultation.